For models 917, 925, 980, 982 and 983 (T-900 Trigger Systems). Adjustable from 1 lb to 2.5 lbs. 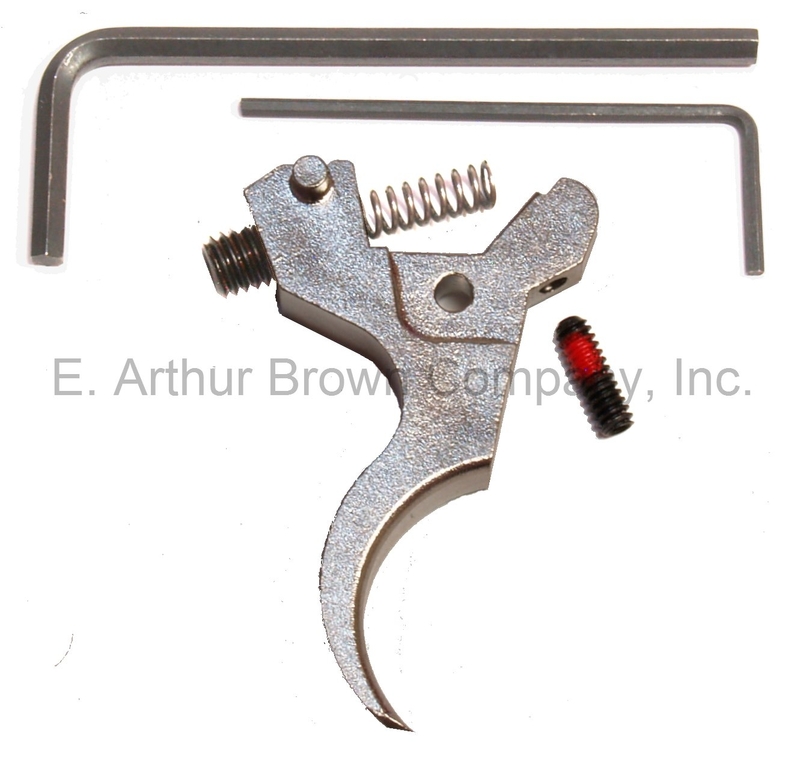 Rifle Basix Marlin Trigger for current production Rimfire bolt action models may be user installed. Uses factory safety. Complete with instruction sheet, adjustment wrenches and hardware. Ten minute installation. Does not fit 2011 XT Pro-Fire trigger or the XR-17. Replaced the factory 5+lb trigger with a 13 oz, creep-free trigger in less than 30 minutes, including cleaning the gun. Easy job if you can follow a YouTube video. Dropped the group size from close to 2" at 50 yards to under .5" at same distance. Excellent customer service from eabco.com - I accidentally ordered a centerfire Marlin trigger, needed a rimfire. One phone call, no hassle, quick shipping, cheaper than buying direct from Rifle Basix.